How do you usually choose what book to read next? You probably have many different methods, just like me – there is that favourite author (or six) to whom you keep returning, there are friends and family to tip you off, sometimes you just take a look at a book's back cover and find it interesting. I can only recall one case where a book has had me obsessed just by its title. The title was Ballet Shoes. The second I learned that there was a book out there with that title, I didn't really care what the story was, who had written it, or if anyone liked it. 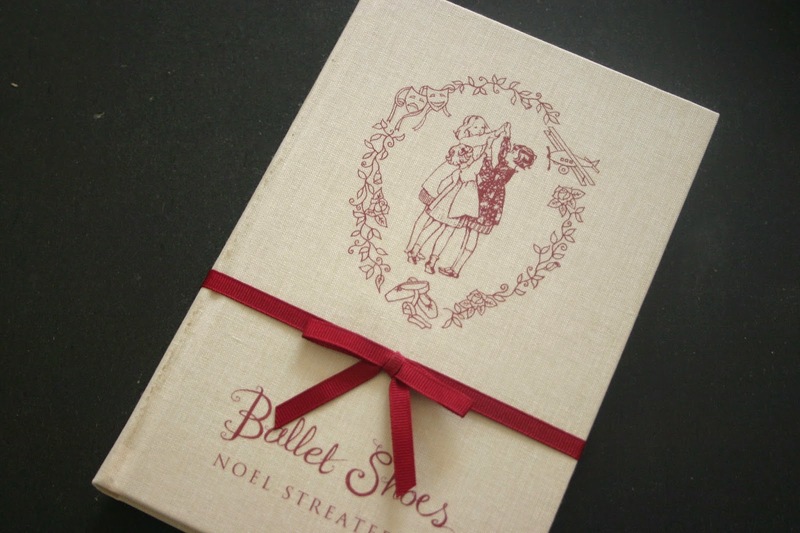 If that book was called Ballet Shoes, I wanted to read it – because ballet shoes are beautiful! See that picture? Of course, no bookstore here in our little Finland has ever heard of Ballet Shoes, and based on my very scholarly and accurate (yeah right) Google research it has never even been translated into Finnish – if somebody knows otherwise, please correct me. So, I seized my chance at acquiring this book when a nice friend of mine travelled to London where there are plenty of those lovely little shops called Waterstones. By that time, I had learned that there was quite a recent movie adaptation of Ballet Shoes, and that the original book had been written by Noel Streatfeild in 1936. It also turned out to be a children's book, which again somewhat shifted my expectations towards it. In the end, I was to be surprised one more time when I finally got to read this book – it's beautiful, it's sweet, it's engaging, it's emotional, it's so many different kinds of adjectives that I should really get to the point and start the actual review right now. 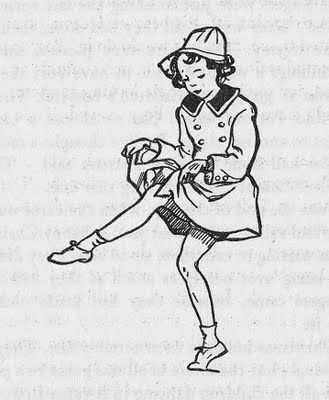 Ballet Shoes, by Noel Streatfeild, is subtitled a story of three children on the stage. These children are Pauline, Petrova and Posy, three orphans who are adopted by a very eccentric but kind old fossil collector, Great-Uncle-Matthew ("Gum" for short). Gum goes off to another of his long expeditions, leaving the girls in the good care of his grand-niece Sylvia. As the years go by and Gum stays absent longer than expected, the money he left for Sylvia and the girls grows short. However, the girls are given the opportunity to take lessons at the Children's Academy of Dancing and Stage Training, which will eventually allow them to work on the stage and earn much-needed money as soon as they turn twelve years old. Despite being adopted from different parts of the world and knowing nothing about their real parents, Pauline, Petrova and Posy decide to be true sisters to each others and start using the surname "Fossil" (because that was what Gum collected before he started bringing in orphan girls) to reinforce the idea. On each of their birthdays, they make a vow "to try and put [their] names in history books". The Children's Academy and the entertainment business reveal the girls' talents as well as their shortcomings. Pauline is employed in one stage production after the other thanks to her classic beauty and great talent in acting though she has to learn the hard way that letting the success go into hear head and behaving like a diva will not impress her employers. Petrova, on the other hand, turns out to be completely mediocre in the arts of the stage and would rather learn all about the mechanics of cars and airplanes than practice lines and dance steps, but her diligent and selfless nature gets her through the work she doesn't like because helping to bring money to the house is the most important thing for her. The headmistress of the Academy immediately recognizes Posy's exceptional gift for dancing, and the passion for the art soon takes over Posy so completely that she appears somewhat insensitive to the people around her. 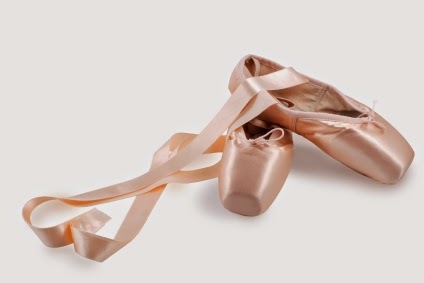 I would have loved Ballet Shoes when I was younger, but it doesn't really matter that I missed it in my childhood, as it's one of those brilliantly written children's books that can be very enjoyable to adults as well. Streatfeild provides a very interesting and clearly expert view of children's employment in the entertainment business in pre-Second World War England; we get to see everything from nerve-wracking auditions to rehearsals and then the backstage bustle during performances, but we are also provided a surprisingly in-depth explanation on how the child actors' payment and welfare were handled. I was intrigued to find out that children's working hours and age limits were so efficiently monitored in theatre business already at this period. Not only is the setting for Ballet Shoes appealing and very well laid out; the story itself, centering around Pauline, Petrova and Posy, is so beautifully paced and full of ups and downs for each of its protagonists, that it's impossible not to be seriously interested in the girls' lives. In addition to the three main characters facing their own difficulties and disappointments in their studies and their work, there is also the constant worry of poverty over them. The adults in the house have to carefully count each penny that the children earn, and the children have to carry the responsibility of providing for their unconventional, but all-important family. Pauline is the eldest of the three orphans and therefore is the first to start proper work on the stage, which gives her the most focus and development. Shakespeare enthusiasts will surely enjoy reading about the productions of A Midsummer Night's Dream and Richard III where she works, and eventually she aspires to work as a film actress too. Her story works excellently as the main focus of Ballet Shoes because she genuinely grows and changes as a character, and both her triumphs and her disappointments on the way really make you empathize with her and wish her success. The younger sisters are not by any means overshadowed by Pauline, though. Petrova, who struggles to fit in the world with her "boyish" interests, makes quite an outspoken social commentary about traditional gender roles – even though the character herself is quite timid and only reads her airplane manuals when nobody is around. Posy is too young to work when the story takes place and because of that she doesn't get to do as much as the others, but it's very clear from the beginning that her passion for dancing is of a very extraordinary kind. It's not just a favourite pastime, it's a way of thinking for her – for example, she memorizes things by converting them into dance steps! Posy Fossil, illustrated by Ruth Gervis – Noel Streatfeild's sister! All of her illustrations for this book are lovely, I really like her style of drawing. In addition to the three Fossil sisters, I would like to mention Winifred, who is another student at the Academy and Pauline's class mate. She often auditions for the same roles as Pauline and rivals her in talent (actually surpasses her in some respects) but she is not the typical, evil and jealous rival whom the reader is just supposed to hate in favour of Pauline. Instead, Streatfeild gives us not only a completely worthy competitor to Pauline, but one that deserves compassion and heartbreakingly reminds us that casting often overlooks a great talent in favour of better outward appearances. So, if you are a reader like myself who wants a compelling story and well-developed characters, by all means you shouldn't shun Ballet Shoes just because it's labelled as a children's book. It has very nice material for lovers of theatre and advocates good values and morality without being preachy. I imagine that any parent who wants to introduce their children to good-quality literature would find Ballet Shoes very much up for the task – but, even though I vehemently oppose the ridiculous "acting and dancing are girls' hobbies" prejudice, I do think this is very much a girls' book. You can't really expect anything else when all the main characters are girls. I'll just squeeze in two very quick things I want to say, related to the blog but not to the book I reviewed. Firstly, you might have noticed that these posts are now being written by Manette instead of Mizzie-Me, but it's still the same old me – just showing some special respect to A Tale of Two Cities from now on! Secondly, my blog stats showed today that I have over 10000 page views! I would really love to know where all those views came from, how people actually find their way here – it's a great mystery to me! Except of course that handful of regular visitors who leave wonderful comments and whose blogs I follow in return. But anyway, thank you everyone who is responsible in any way for those 10004 page views – whether you are invisible or not! I have vague memories of reading Ballet Shoes when I was about 8 or 9 but I don't remember anything about it apart from the fact that I read it. How terrible! I must rectify this at some point! I absolutely recommend you do that, knowing something about your taste in literature, I'm sure you'd enjoy it! You'll probably find whole new different levels reading it as an adult.